Thoughts of spiritual fervor that develop within meditation. An inspiring collection for those who practice meditation. Thoughts of spiritual fervor that develop within meditation. 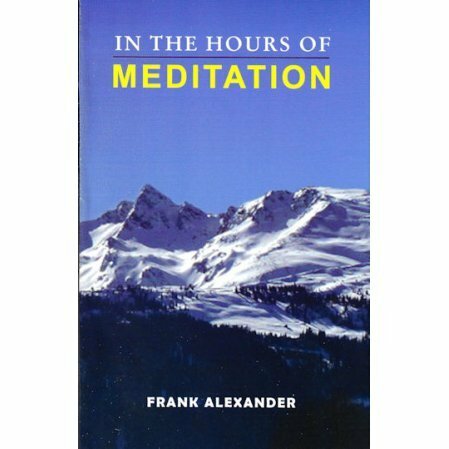 An inspiring collection for those who practice meditation. Written by an American disciple of Swami Vivekananda. There are hours when one forgets the world. There are hours when one approaches that region of blessedness in which the Soul is self-contained and in the presence of the Highest. Then is silenced all clamoring of desire; all sound of sense is stilled. Only God is. There is no holier sanctuary than a purified mind, a mind concentrated on God. There is no more sacred place than the region of peace into which the mind enters when it becomes fixed on the Lord... spiritual consciousness dawns in these silent, sacred hours. The soul is close to its source. It is a book I read in the 70ties, again in the Path in the 90ties but the spanish edition of KIER... and now its original words guide me ... It is a true Vademecum..
Iam Blessed to have found you. Be at Peace and in Peace.